Whether you’re a tourist or just living in the Netherlands, we are always on the lookout for some beautiful Dutch towns in the Netherlands to visit. If you’re new here and are after something that isn’t just Amsterdam, Amsterdam, Amsterdam, then you’re in luck. There are plenty of other beautiful places to go and this is why I deliberately left Amsterdam off the list this time around (sorry Amsterdam). Here goes. Add to your list right now…..
Giethoorn is known as ‘the Venice of the Netherlands’, due to its beauty, the large concentration of canals and everybody boating. The place itself is literally postcard perfect, with everything incredibly clean, the lawns of people’s houses perfectly trimmed and all the houses matching. The only issue is in the summer months the place is heaving! Like, really. 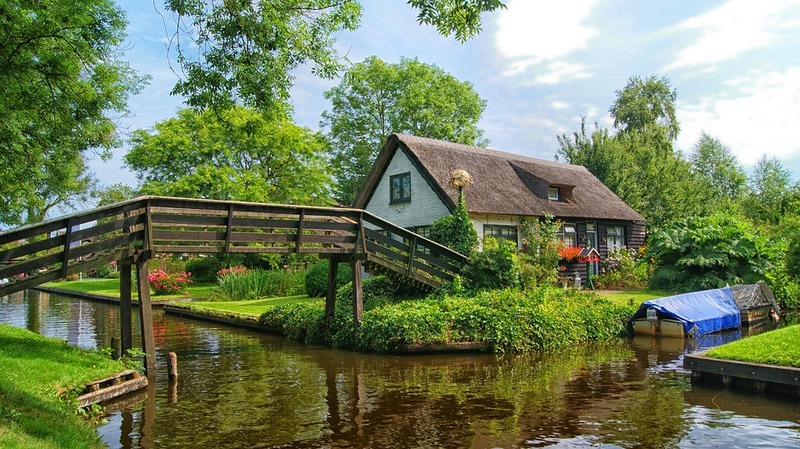 Giethoorn is especially popular for Chinese tourists and other tour group agencies, so if you’re looking to hire your own private boat, do it well in advance! 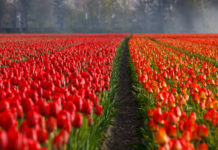 So, what can I do in Giethoorn? There are a few things to do in this tiny place. One of these is of course boating (private boat or tour boat). You can also walk around the area on foot. There is also a few little museums around. Beautiful Dutch towns in the Netherlands: Look how cute the place is! Amersfoort is one of my personal favourites. The whole place is incredibly picturesque and drenched in history. The iconic ‘koppelpoort’, which was built in 1425 dominates most pictures and especially looks good at night. However, there is a lot more to Amersfoort than just this. So, what can I do in Amersfoort? Apart from the koppelpoort, all around the city centre is beautiful as well, so it’s the perfect place to go for a walk and explore. There are plenty of bars, restaurants and museums located within Amersfoort, so it’s the perfect place to go for a short day trip. Delft is a beautiful little Dutch town located between Rotterdam and Den Haag. It’s your typical Dutch town, with beautiful architecture and lots of little independent cafes and shops. It’s the perfect place if you want to spend the afternoon somewhere truly Dutch and sit on the terrace with a coffee or beer. Or… if it’s too cold and it’s snowing instead, then just walking around is more than sufficient, it’s beautiful coated in snow. So, what can I do in Delft? Delft has little markets on the weekends, plenty of little independent shops and lots of places to get a bite to eat or have a coffee. This is THE place to buy Delft blue too (of course). You can explore Nieuwe Kerk (church), go to a botanical garden or walk around the parks. 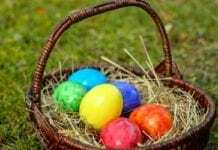 There is also a lot of free stuff to do in Delft, check them out here! Haarlem is located close to Amsterdam and is always recommended for people who aren’t keen on the hustle and bustle of Amsterdam but still want to see the canals and Dutch architecture. 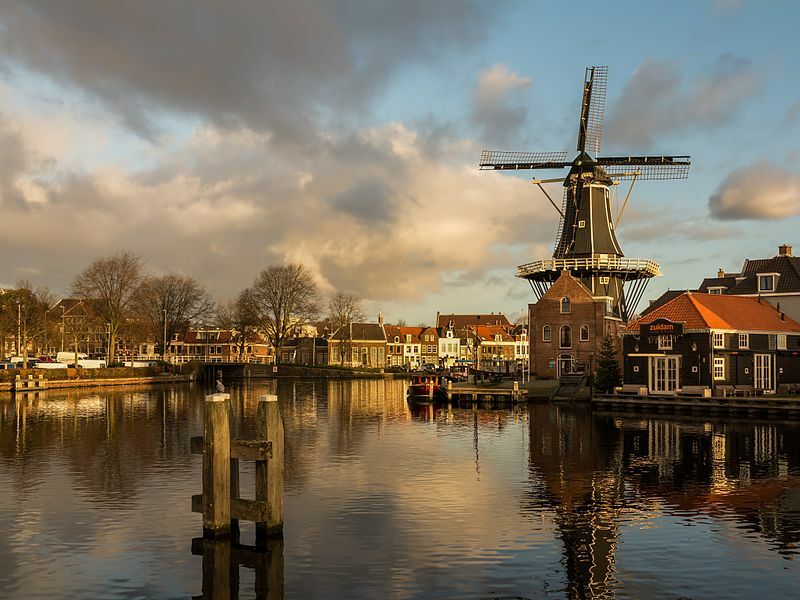 It’s the perfect place to walk around if you’re after great architecture, windmills, shops and all things Dutch. My favourite time to go is at Christmas – they have a giant tree in the market square and lots of lights. It’s so festive! So, what can I do in Haarlem? You can visit the markets in the giant market square, visit the cathedral (it’s beautiful! ), you can climb a windmill, visit the array of shops, restaurants and explore the city centre in general. Valkenburg in Limburg is a place rich in history. It’s home to Valkenburg castle, which are beautiful ruins that you can go and explore once arriving here. Walking around the centre, in general, is also beautiful. It’s definitely one of those forgotten places to visit and I highly recommend you go! So, what can I do in Valkenburg? Apart from wandering around looking at all of the beautiful architecture (check the train station out! ), then is also the ruins of Valkenburg castle, a variety of different museums, shops, restaurants and cafes. Christmas is especially good as they have a Christmas market in Valkenburg caves! It’s a very unique experience. Not only is the place great in every way, because of its small quaint streets and lots of canals, but it’s also the home of DutchReview! Trying not to be biased here, but Leiden is actually a beautiful place. It actually has the most canals in the Netherlands, after Amsterdam. It’s also home to a variety of great museums (which beat Amsterdam any day!) It’s also a great biking city. 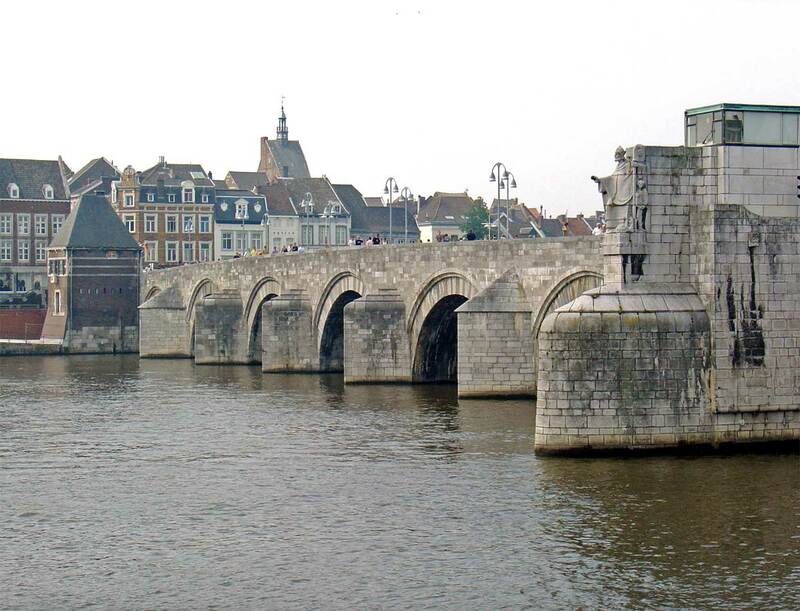 Maastricht is often forgotten, seeing as it is so far away from the capital. It shouldn’t be though! Maastricht is a beautiful place, with lots of medieval-era architecture and lots to do. 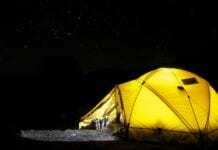 It’s especially popular with students and is so close to Belgium and Germany, that it’s the perfect place to go if you’re wanting to just hop over the border and try somewhere new. So, what can I do in Maastricht? You can take a walk around (the architecture is gorgeous), visit the flea markets, go to the market square, shop, visit some museums, drink on the terraces… there are plenty of things to do in Maastricht. 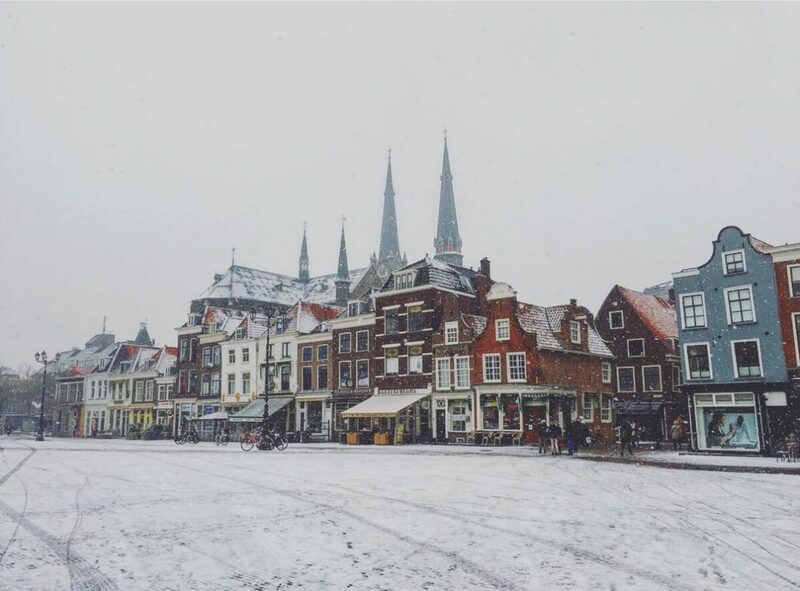 What is your favourite Dutch town? Let us know in the comments! Leiden is my favourite of all the places I have visited … but there are others that are also well worth considering …. Deventer, Middelburg and Alkmaar come to mind. Definitely Leiden,Town from my Birth,Town from my Youth,,,eenmaal een Leienaar,altijd een Leienaar,,!! Oudewater is also very beautiful! A dark history about witches, canals, beautiful country Side. Hoorn is one of my favorite, small to medium, towns in N. Holland. I am a bit prejudiced because my best friend lives there. Leeuwarden, not only the capital of Friesland but also a bit like a miniature Amsterdam without all the tourists. And no, I am not Dutch, just a crazy German guy that spends all his free time 600km away from home in the Netherlands. My family adopted that habbit already. Naarden is my favorite. Vesting museum, City hall, and the “Grote Krrk”, or large church are must-see, as are thevrsmparts, giving the City its shape of a star! Lelystad? Den Helder? Would be one of the last on my list. 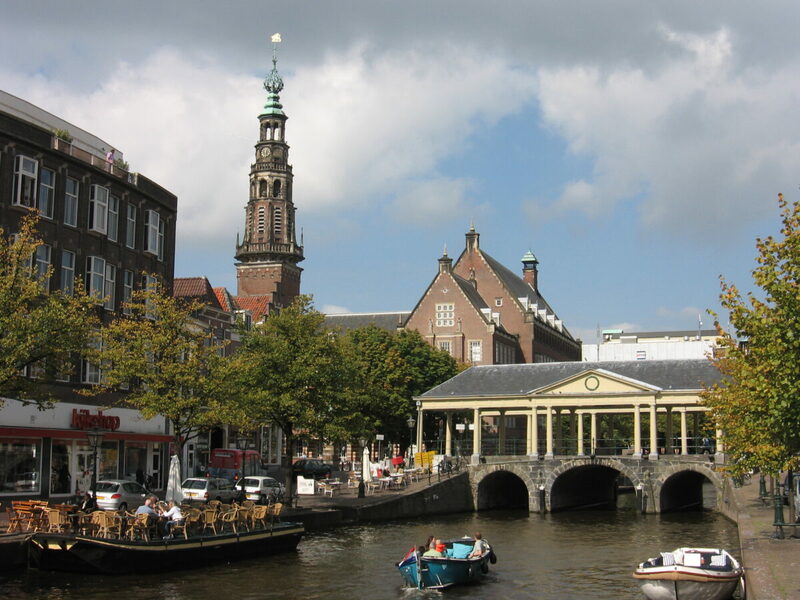 The Netherlands has many beautiful cities and towns and Leiden and Delft are my favorites. But I like to mention Elburg, a town in Gelderland that between 1392 and 1396 was rebuilt after a flood in the form it is seen today, with a moat and a city wall, together with a gridiron street plan. Back in the 70s as student of TU Delft my fiends and I studied the urban plans of that city. The profiles if the streets coincided with the function each street has. A walking tour is the best way to experience the beauty of the town. In 1367 the city was recorded as a member of the Hanseatic League. I love Maastricht. I used to stay at the old Commerce Hotel and walk to the bars and restaurants in the ally ways.